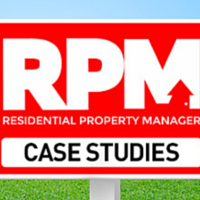 "How can a property management business generate new leads and build its rent roll? – excluding any leads from an attached sales team." Before heading out to conduct big elaborate marketing campaigns to attract new clients, I believe it’s all about maximising and leveraging from the contacts already encountering your business each day. You will be surprised to discover just how many of your existing landlords have other investment properties, know other people with investment properties, or potentially would be looking to purchase another property to grow their portfolio. These leads are generally easy to convert – if the client is happy with the service you are providing and would refer to you. 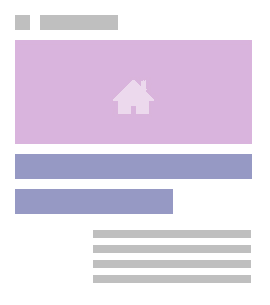 Tenants are also a huge source of leads. Approximately 18 per cent of tenants also own investment properties, but this information is usually overlooked during the tenant search application process. And what about all of those perspective tenants who end up renting through someone else! On top of that, think about how many of those people would know someone who has an investment property! The problem is that we tend to treat tenants as a dispensable commodity, not realising they are (or they know) our future clients, so it’s vitally important we are doing a good job for them too. It’s all about leveraging off the existing work you are doing, rather than going and creating entirely new lead sources. Generating new leads and building your property management business’ rent roll is as simple as looking within your business to focus on your service standards and grow through retention. Growing through retention helps gain your clients’ loyalty and makes you their agency of choice for current and future property management dealings. As a result, retention really is the best way to achieve sustainable and long-term growth because it generates repeat, referral and recommendations from your current happy and satisfied clients. How retention builds your property management business is simple. If you deliver the high service standards you promise then your current clients will be satisfied with their experience, willing to pay higher fees for it, and remain loyal to your agency. Further to that, if your service helps them build equity into their properties and increase their returns, then it stands to reason your current clients will purchase more properties as a result and choose you as their property management agency. Retention, as a growth strategy, is therefore a great way to assist your sales team too. Retention really is the best way to unlock a sustainable and long-term income stream in your property management business . Some of the things we do include networking and blending within our community. We work at building a positive relationship with like-minded companies and people within the community through attending business networking groups and so on. We consistently try and increase our brand awareness – even sponsoring a little soccer team and having our company logos on their game shirts – to get our name into the community. We also strive to have an excellent reputation because word of mouth is a wonderful thing! We receive many referrals from our existing clients, and we actually thank and reward clients who refer business to us by giving them a $100 gift card and a thank you card. There are so many ways that BDMs can get leads and grow a rent roll without involving the sales team for listings. Now, I’m not saying we don’t need them, because we do, but the question being asked is how can we lead generate without using the sales within an office? A simple resolution is to catch the leads from another angle from which investors come to you. Sometimes they purchase through a rival agent and don’t want to give the selling agent the management. What about the investors who build their investment? There are companies and builders that are only dealing with investors and selling land and house packages – investor-only stock. But there’s more. There are display villages, where builders employ staff to sit in a property they have built so they can convince/sell people a house package. In some cases they also sell land and house packages, sometimes it’s just the build. Who are they referring investors too, or are they at all? A simple rule for a listing agent is to develop a relationship with sales at display villages. You can generate new PM leads by putting a ‘persuasive’ property management offer for new landlord clients in the agency’s rental list. In addition, many tenants are also property investors themselves or have property investors in their families. Building on a rent roll is critical to the sustainability of any property management business. We are finding that investors today are looking for a ‘value-add’ service that goes further than just ‘collecting the rent’. We have also seen that the traditional ‘hard sell' about your business isn't necessarily the best way to go about attracting new clients. The first step to create and maintain relationships with current and future clients is having a central database or CRM system. This tool can be used to provide relevant investment and market information and keep investors up to date. The second step is to be present in the local area. Visibility is critical, and adopting a variety of marketing options corporately and at a property level that is content focused will show people who the experts are and increase the business’ exposure – this includes promotional items such as rental signboards, property videos and personal bio videos. I believe that one of the biggest sources of leads for any property management department is already in your hands… your rent roll! There are so many opportunities that lie within your existing business. When thinking about this, it should not be just landlords you are targeting – it should be ‘referrers’. Even if someone does not own an investment, chances are they know someone who does, so why not let them do some of the leg work for you. If you have serviced people well and created a relationship with them, they could become your number one advocate. Ask these people to refer you and reward them for their efforts. In addition, many landlords own multiple properties. Do you know what else they own? Many tenants own properties, as do your tradesmen. But what many property managers also forget is all of those inactive owners and tenants, people you have previously transacted with. In most cases you have had a relationship with these people for in excess of 12 months, so don’t let them forget you. All of these people need to be added to a database and regularly touched. That way you will be front of mind when they think of property management. Now more than ever your property management department is your most important asset in the real estate industry. In the past few years the business development manager position has become a hot topic and when performed well, it’s very powerful in a property management department. Most principals know a BDM is an extremely important component for growth in the agency, but they are unsure as to what they should be doing day to day and what type of person would suit the position. After being in the industry for 10 years and going from reception to property manager and then becoming a full-time BDM, I have to say the BDM position best suited my strengths and was the role I performed exceptionally well. So what makes a powerful BDM and what activities should they perform, excluding the sales team to generate new business? One of the most consistent sources of good quality leads for our property management department is the Besser & Co. Facebook page (www.facebook.com/BesserCo). With over 3,000 fans, we have one of Australia’s largest followings for a single office agency. With over nine million daily Facebook users, most agencies see the value in having a Facebook page, but taking the page from friends, family and staff members liking it, to a page that generates leads, takes time and planning. Post good content: As well as writing comments, Facebook allows you to share links, images and videos to your page. The more interesting the content, the more chance a user will like it or share it with their friends and family. Review your posts: Monitor what works for you. There have been posts that we thought were really interesting but had no engagement. The key is to find content your fans like and give them more of it. Advertise your page: There’s only so much growing you can do on your own. Facebook lets you create ads around your business page and then target those ads around location, age groups and interests, amongst many other options. The more targeted your ads are, the better quality ‘fans’ you should attract to your page. Once your page is putting out good content and growing, it’s only a matter of time before you start generating leads. Not only have we listed properties through Facebook, we’ve also leased and sold properties through our page. What are your hacks for growing your rent roll without a sales team? Let us know in the comments! We're also on the lookout for next week's topic, so give us a heads up if there's anything on your mind!